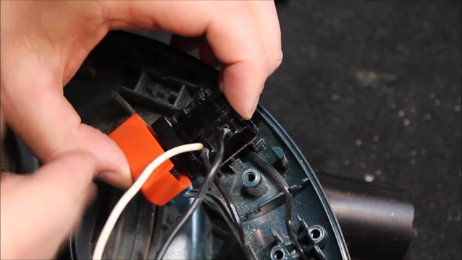 Check out this video to see how to make a quick replacement of just about any power cord. In this case I am replacing the power cord on a Black and Decker circular saw but the process should be very similar for just about any brand and also other power tools. STOP! If you are here on this page or about to watch this video you have no doubt already considered just wrapping some electrical tape around that cord that you cut. Am I right? How many of your tools already have tape on the cords? Come on, be honest, we have all done it. But before you break out that giant roll of black tape and start binding things together you may want to consider getting the job done the right way. Tape doesn't exactly make for the safest electrical connections and no one wants to see someone get hurt. 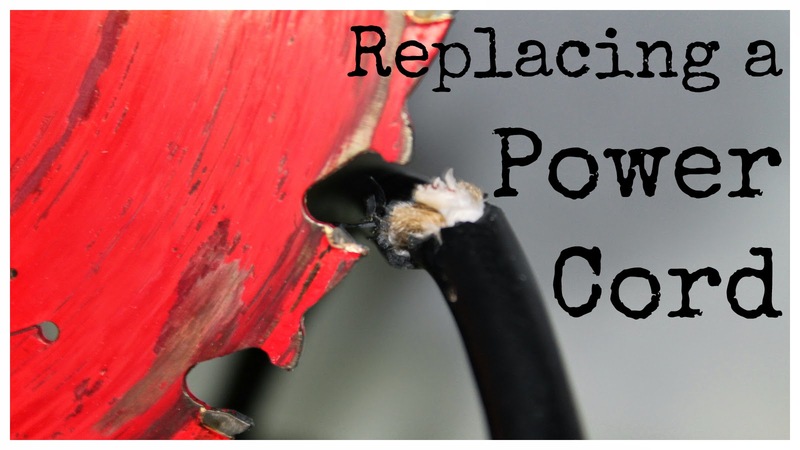 So now that we have that covered lets move on to a very fast and easy repair for that damaged power cable. You can pickup a new cable at any home center, hardware store, or via amazon with the links below. There are only two things to consider when getting a replacement. Does your tool have a 2-prong or 3-prong plug and what amperage does the tool draw. For most tools the amp rating is written on a label somewhere with the model number. It might even be on the cable itself. In my case I have a 10 amp tool. That just means that the cord I buy to replace the one I cut needs to be at least 10 amp or higher. In this case I purchased a 13 amp cord which will be just fine for this application. Normally with any power tool the casing comes apart and splits in half exposing the trigger switch and the power cord inlet. Check out the video for an example. Once you take out those screws just unscrew the wire leads connecting to the switch (pay attention to white and black and their respective terminals) and remove the cord protector from the old cord. This is that hard rubber piece that is at the most flexed part of the cord, where it enters the tool. In my case removing the cord protector was the hardest part. Once you have the old cord removed just slide the cord protector on to the new power cord and then fit it snugly back into the tool handle. Reconnect the wires to the correct terminals (Hot (black), neutral (white), and ground(green)). Once things have been reconnected make sure the wires fit nicely back into the handle cavity and then replace the cover or side of the tool. Done! This is a very simple and cheap (less than $6) repair that when done properly can add years of life to your tool. Don't risk electrocution or someone in your family getting hurt by putting a band aid on your tools with tape! Always good to know for anyone who has power tools! Thanks for sharing on the Homestead Blog Hop! The motor forces development of the affix to make snappy work of intense wood-eliminating positions. Strength models can cut solid, block, and stone. Cutting apparatuses are accessible in different sizes and types, including electric, battery, and gas-controlled models. Fine cutting joins the edges in immaculate manner. What's more, it is just fine cutting which makes commendable things. In this manner, significance of fine cutting instrument can never be overlooked.